After a successful corporate career in business and marketing Iyanthi made a choice to work with social purpose and education sector in 2003. As a passionate advisor to the Social purpose sector, she provides leadership, clarity and donor/investor centricity to projects that require philanthropic or social impact investing solutions. Iyanthi has a sound understanding of international best practice and applies strategic thinking when providing solutions to complex problems. She brings a broad range of skills and business acumen to the sector. She provides strategic advice to her clients, has raised millions of dollars for organisations and developed sustainable strategies for extraordinary growth to fulfil their mission. Iyanthi understands and appreciates the challenges and complexity of the sector and has the privilege of applying real creative thinking in providing solutions that have transformational outcomes for clients. 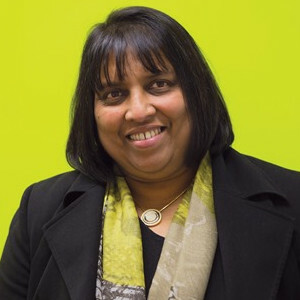 She is a CFRE, a Fellow of the Chartered Institute of Marketing UK, and has served on the National Council and the Northern Division of the Fundraising Institute of New Zealand.